Size: 1007 sq.ft. - 5695 sq.ft. Al Futtaim Group has developed a trendy residential tower in Dubai Festival City. This project was completed in 2008 Dubai Festival City is a massive development of Dubai, UAE owned by Al Futtaim Group for residential, entertainment and business purpose. Marsa Residential Plaza is a stunning architectural concept and has become one of the striking landmarks. The 1 Bed apartment price starts from AED 1,563,000, 2 Bed Apartments are available at AED 2,060,000, 3 Bed apartments at AED 3,113,000, AED 6,485,000 for 4 BR homes and the penthouses price ranging from AED 6,207,000. This project is described with the top class of supersized accommodations and leisure benefits. Marsa Plaza is Modern & signature residential building of well-maintained houses by Al Futtaim Real Estate firm. Marsa Plaza offers numerous apartments ranging from 1 BR, 2 BR, 3 BR, 4 BR and 4 BR Penthouses with balcony. The duplex apartments of the project are range between 1007 Sq.ft to 5695 Sq.ft. It compromises of 510 residences where 216 apartments are completely serviced & managed by Intercontinental Hotels Group. This is the signature tower of Al Futtaim developers in the creek side living. 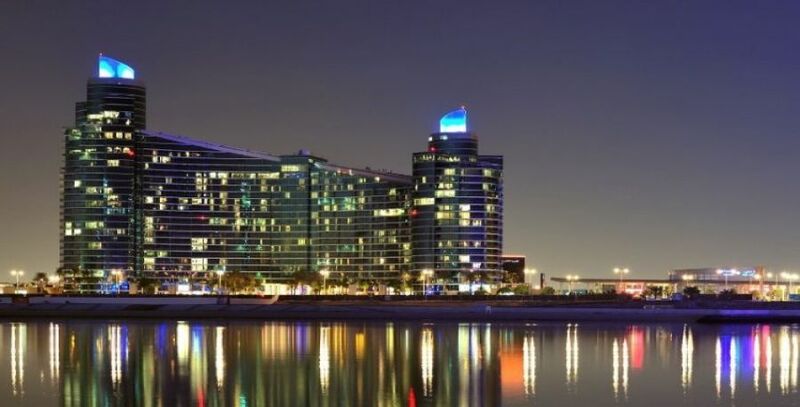 All rooms offer you panoramic views and the Dubai City Skyline view looking upon stunning natural waterway. One of the best deliveries by the developer within a peaceful and eye catching city where everyone wish to live. Dubai Festival City is Dubai's very exciting place fulfilled with top class hotels, Intercontinental hotels, entertainment and shopping zones. This city is just 5 minutes from Dubai International Airport. The Major highlight of the city is the waterfront Dubai Festival City Mall. This mall consists of more 340 stores retail, beauty and health stores, Dubai & Robinsons Mega department store, top brands like DKNY, H&M, Top Shop etc. Dubai Festival City is famous for most popular festivals - Dubai Shopping Festival and the Emirates Airline Festival. Marsa Plaza is a place fulfilled with exciting and energetic facilities. One of the major attractions of this city is unique large screen laser show and also the magic fountain show that will keep the residents entertained. This location can be accessed via Ferry, Downtown Area by stopover and business travellers. At Marsa Plaza the residents will feel connected to memorable and authentic experiences. Schools – Deira International School, Universal American School, Hospitals – Mediclinic Welcare Clinic, Rashid Hospital, American Hospital Duba, Shopping Centres – City Centre Deira, Restaurants – IKEA Restaurant, Texas Roadhouse etc. Al Futtaim Marsa Plaza is located within Dubai Festival City, on the banks of Dubai Creek, Dubai, UAE. Al Futtaim Group started their specialisation in the years 1930s and expanded their business rapidly in 1940s & 1950s as the retail, Automotive, Real Estate and Financial Services. The real estate arm of Al Futtaim group is responsible towards development of gigantic projects, origination, procurement, conception in the UAE and other countries. The company offers commercial projects, residential projects and educational facilities. Till Date the developers has delivered three residential projects named Al Badia Residences, Marsa Plaza and Al Badia Hillside within its own established city Dubai Festival City. Al Futtaim also has 200000 Sq.ft spaces for Showroom and 600000 Sq.ft of space for workshop Umm Al Quwain, Fujairah, Sharjah, Ajman, Dubai & Abu Dhabi. # High Speed Elevators & other facilities like grocery stores, business centres etc.